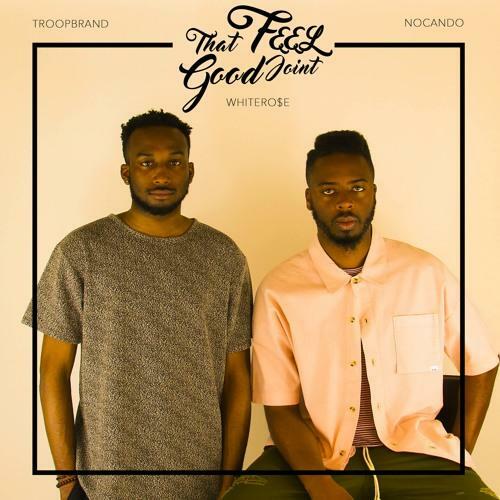 Let TroopBrand, NoCanDo and WHITERO$E brighten up your day. Here’s something different for your hump day. Atlanta artist TroopBrand goes cross-coastal to team up with Los Angeles-based artist NoCanDo. The song’s title does a great job describing it, as this is definitely “That Feel Good Joint.” TroopBrand and NoCanDo just want to share the good times, and thank their respective ladies for brightening their lives. The funky, chilled-out instrumental was produced by WHITERO$E. It features some live bass along with reverb heavy guitar sample and some light key work. It’s a sunny track that’s timed perfectly with the days getting longer and everyone emerging from winter’s cold grip. If you're feeling Troop, listen to last month's "The Other."